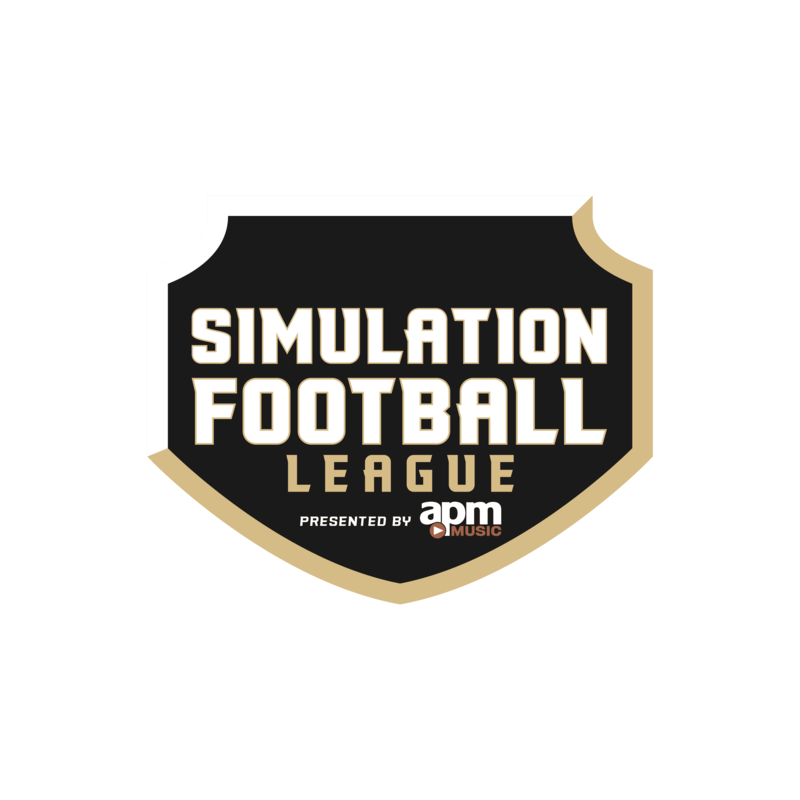 One of the marque games for Week 4 in the Simulation Football League was the matchup of undefeated Denver Nightwings taking on the Dallas Lobos. The first score of this game did not happen until 1:09 was left in the first quarter, when Jarrod McChesney ran through the Lobos defense. The Lobos had no answer for McChesney as he also broke the SFL record for longest rushing TD with his 100-yard touchdown run in the fourth quarter. McChesney would finish the game with 242 rushing yards on 22 carries and 3 touchdowns. Denver quarterback Josh Miller did not have to have his best game in this one with McChesney running the way he was all game. Miller finished with 131 passing yards, 1 touchdown and 1 interception. Even the Denver wide receivers had a less than stellar performance, but they didn’t need to. The leading receiver was none other than Jockamo Jones. Jones finished the game with 4 receptions for a pedestrian 58 receiving yards. 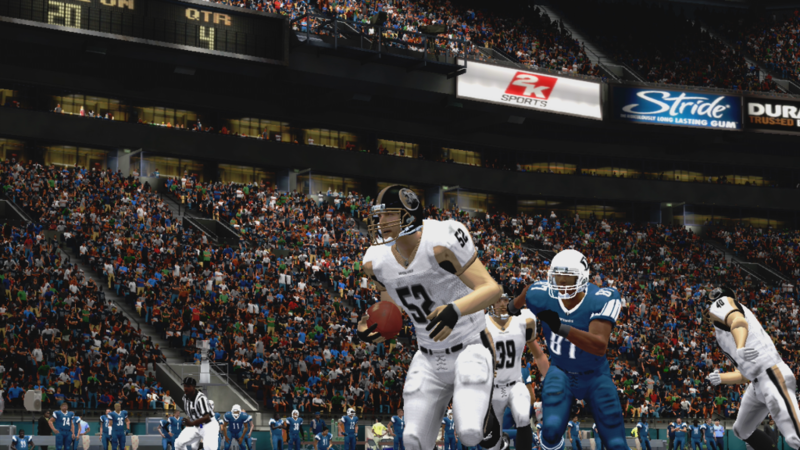 Rookie tight end Hiapo Kinloha finished the game with 6 receptions for 47 yards. Meanwhile, on defense the Nightwings’ leading tackler was newly signed rookie free-agent linebacker, Mike Sawchuk, who finished the game with 9 tackles, 1 assist, and 1 pass defended. Sawchuk seems to be coming into his own on the Nightwings defense. Meanwhile, for the Lobos, the loss drops them to .500 for the season. Big time free-agent QB Jacques Luyindula threw for 334 yards and 1 touchdown pass. 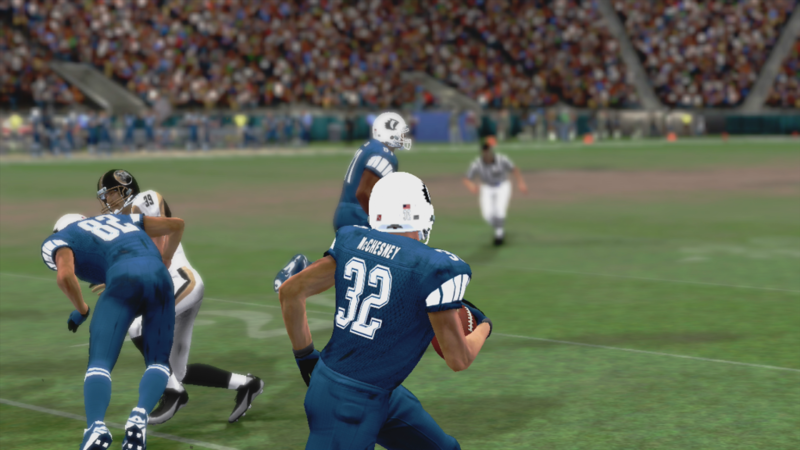 Rookie sensation running back Zack Sandlin was shown big time carries this week ,with a whopping 30 carries, but managed only 87 yards. The Nightwings’ defense was all over Sandlin the entire game. Tristan Carr only secured 2 catches for 41 yards. The gameplan though was to get Junior Senior involved and that was a success, as he finished with 150 yards on 8 catches. It is a shame that he was not able to find the end zone. Defensively, the standout here was EK Vinson, who had an interception return for a touchdown in the 4th quarter. The leading tacklers were free safety Iverson Gamble and defensive tackle Denzel Maverick both of whom had 5 tackles. Maverick also had 2 sacks of Nightwings QB Josh Miller. 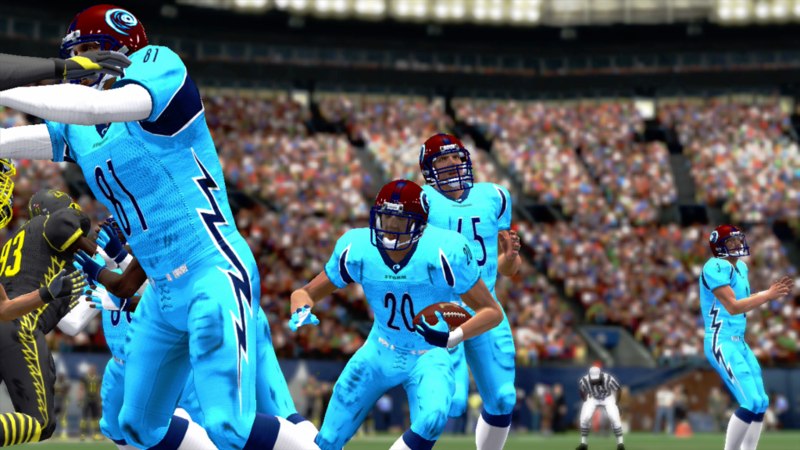 Looking ahead to the next matchup, Dallas Lobos will be at home against the San Francisco Sharks. Denver Nightwings are home against the St. Louis Gladiators. I think with each team being at home, Dallas will pick up a quality win and Denver will stay undefeated heading into Week 6. To start off Week 4, Primetime on Friday brought us one of the most one-sided games of the season so far, with the Indianapolis Spitfire (0-3) laying some home truths on the visiting London Knights (1-2) particularly their pass defense. The Spitfire’s quarterly scores read – 14, 17, 10, 7, for a total of 48 – as London had no answer to rookie quarterback TD Drew and his big play receivers. three of Indy’s pass-catchers had more than 100 yards thanks to pinpoint accuracy by their young leader, who ripped apart the opposing secondary like a thin piece of paper. Trevor Ferrill put forwards the best effort, catching 12 balls for 156 yards and 2 of the 6 passing touchdowns scored on the day. London’s usually dangerous offense responded with 14 points of their own (courtesy of standout rusher, Reggie Streeter) but all in all it was a forgettable day for Head Coach Gerald Smith and his squad. London go into their bye week reeling, while the Spitfire will be hoping to sure up their run defence after giving up 137 yards and 2 touchdowns to the Knights’ rookie. A 48-14 victory will definitely give them confidence however. We move forwards quickly to Saturday, which saw Alaska Storm (1-1) quarterback Ron Cockren produce a very ‘Ron Cockren-like’ performance to lead his team to a 34-14 victory, on the road, against the Sioux Falls Sparrows (1-2). The hometown Sparrows just don’t seem to be able to figure out the Storm, who have haunted them with losses since Season 10. ‘Riverboat Ron’ found the end zone 3 times as he spread the load masterfully between his receivers, showing a masterclass in when to check it down short and when to go deep to his ‘big play’ guys. One of those ‘big play’ receivers is Optimus Cline, the legendary wide-man gaining 80 of his 105 yards on one huge play. Credit also must go to the coaches, the short running game and the defence for keeping Alaska on the field and Sioux Falls off it. Merrill and Williams are adept at keeping drives alive, just long enough to help Cockren come up with a big gain, and the defence shut down the Sparrows’ one-dimensional offense with ease. The home side have a solid roster like always, with an elite defence (rookie cornerback John Barnhardt has been a revelation); they just don’t seem to have any playmakers to help out Colin Hart. Hart is the lifeblood of the Sioux Falls machine, but that engine can only pull so much. He needs help. The receivers stood tall above the rest, Matt Burnham (Sharks), Rich Pratchard and Tybeerious Bovine (Renegades) combining for 722 yards and 6 TD’s. A tough day for pass defences. 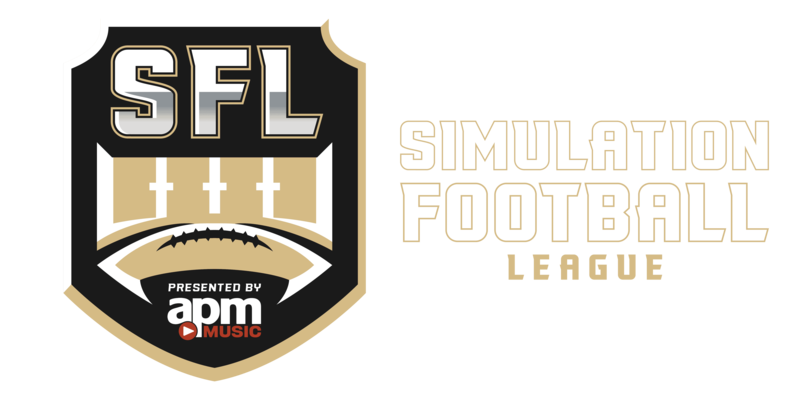 After the rampant ecstasy of the unbelievably successful ‘SFL Blitz’ Sunday, Monday night brought a calmer, slightly subdued, yet no less competitive flavour to the weekly schedule. Monday’s first game concluded in tight fashion, a touchdown in the 4th quarter giving the visiting Tulsa Desperados (2-1) the 20-17 victory over a competitive St. Louis Gladiators (1-2) squad. Ashley Jackson was once again at the heart of everything good the Desperados did on offense, coolly tossing TD’s to her favourite targets – Stephen Bush and Garren Malone III – whilst throwing no interceptions to a pick-happy Gladiators secondary. The way Jackson has settled into the league is commendable, and she should be in the early conversations for Rookie of the Season. Jackson’s fellow rookie and St. Louis quarterback, Moody Mitchell, also had a good game behind his o-line, but has slowed down somewhat since opening with a bang against a leaky Dallas Lobos defense. Mitchell also threw two touchdowns, one to an improving Badr Ajlouni, and took his licks well after getting down 7 times by Tulsa’s tenacious defense. The Desperados’ D is probably the most aggressive Moody has faced so far this season, with players like Gib Leedoo and Rhett Sawyer always sniffing out a sack, whilst Kyler Murray holds down the outside. Expect Tulsa to make a decent run at the playoffs this season. 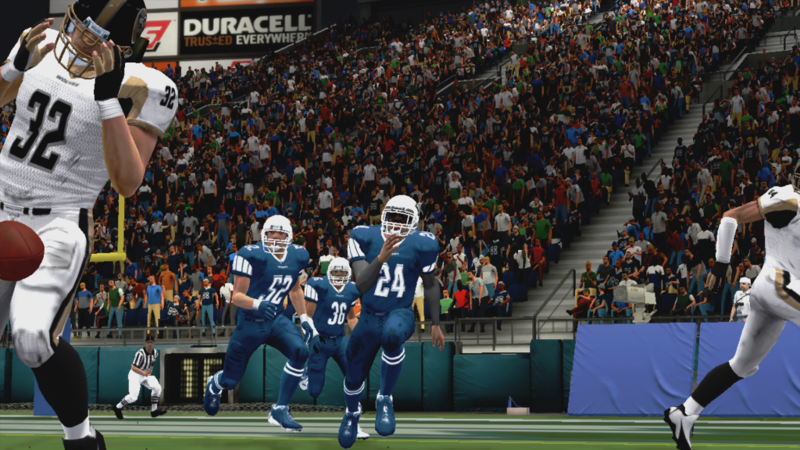 The climactic game of the week proved to be anything but, with the Queen City Corsairs (2-1) labouring to a defensive 20-7 victory over the struggling Carolina Skyhawks (1-2). The Corsairs rode the coattails of their main men on offense, with Ash Odom and AJ Caswell playing classic, punch up the gut football. Odom didn’t break out any long runs, but carried the rock effectively for 151 yards on 4.9 YPC in a workhorse performance. 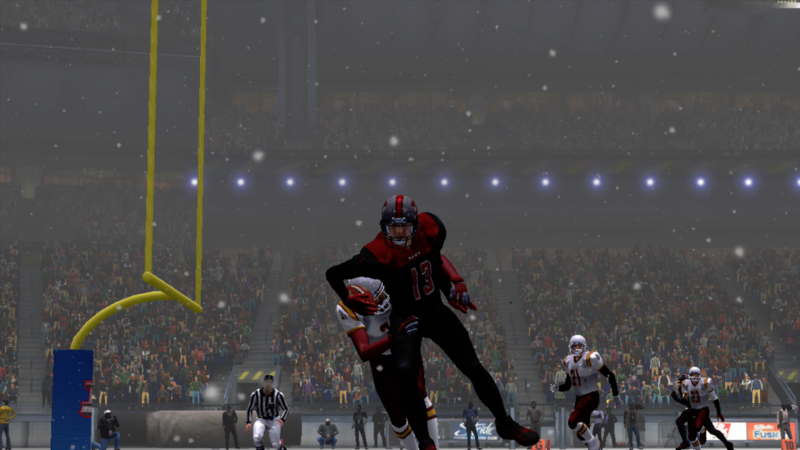 Odom topped off with a TD and was joined in the end zone by rookie sensation Stephen Hacker, who scored his 6th touchdown of the season. Carolina’s defense hunkered down well against the pounding drum of Queen City’s Run/Pass game, but with an offense that only scored 7 points in 60 minutes, victory would always be hard to come by. Mark Biddix played safe, unspectacular ball, Randy Mercury looked like a rabbit in the headlights when he got touches and the only real threat came from Harish Prasad, who made 100 yards and scored Carolina’s only touchdown. The Skyhawks can win on the back of their Jonny Savage-led defense, but the offense needs to do its part. The article will be updated tomorrow with the report for Houston’s first victory of the season at the expense of the Vancouver Legion. 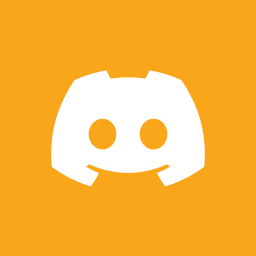 Unfortunately, the game stats haven’t been published yet but the league is working on getting them up as quickly as possible.